Absolutely horrible network performance for guest VMs on VMware Server? I got my new HP workstation with 9GB RAM and a fancy quad core CPU a while back and it’s been running real spiffy… but after loading VMware Server 2.0 on it, I found the guest machines running on this bruiser of a machine had truly abysmal network performance… I mean Kbps transfer rates on a Gbps NIC! Luckily I found the solution to the problem posted here. Do you experience slow data transfers between your guest operating systems? Is data transfer between the host and guest also very slow? Are you getting megabyte transfer rates even though your network adapters are of gigabit speeds? Here is the solution. 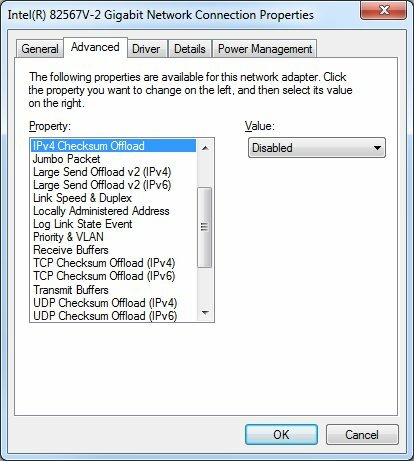 Reload VMware Tools and ensure the vmxnet driver is being used by the virtual NIC, not the vlance driver. For me, turning off all TCP/UDP offloading and check-summing increased my host/guest and guest/guest network communications 1000% and now things perform as expected. It’s unfortunate I can’t utilize the TCP offloading built into my NIC if I want my guests to perform worth a crap, but that’s ok for my workstation… I don’t do anything on my home network where TCP offloading would really help me. This entry was posted on Monday, December 14th, 2009 at 1:44 pm	and is filed under Server Management. You can follow any responses to this entry through the RSS 2.0 feed. You can leave a response, or trackback from your own site.